Superstar Rajinikanth starrer 2.O has been released this weekend and creating positive buzz all over the world with its visual treat. 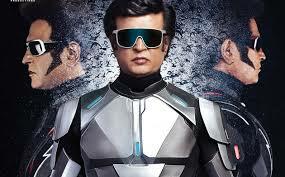 This visual granduer has managed to collect Rs 12.53 crore in Andhra Pradesh and Telangana in 2 Days of its release. The film has collected Rs. 7.41 Crore alone in Nizam region. Shankar is the director of the film which revolves around a social cause. Akshay Kumar and Amy Jackson are seen in prominent lead characters in this commercial entertainer.